I have never been indifferent about what I was eating. Raised in a home where we always consumed fresh products, I was taught from the very beginning how important it is to wisely choose ingredients. Later on, when I moved to the south of France and had to cook for myself, I always went to the green markets to buy my fruits and veggies. And also nowadays, I get really annoyed when I have to eat plastic meals, which unfortunately, sometimes seems to be just inevitable. Over summer I decided to take care again more consciously of my body and health. I was very active and went to the gym much more often. The more I moved the hungrier I became. At some point I decided to learn a little more about nutrition and what ingredients would really help me to build strength and fuel my body with energy. I have no intention to give up on meat, but still I found that there are many more foods that provide you with protein, iron etc.. 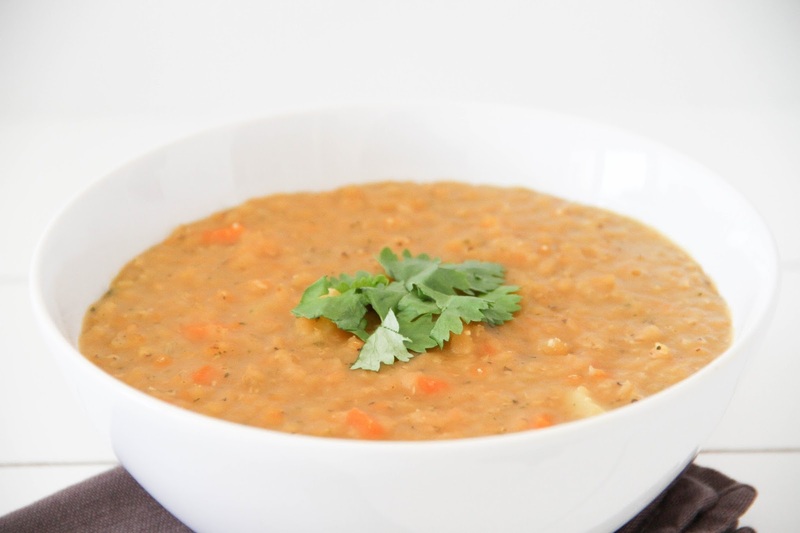 The health benefits of lentils are numerous, nonetheless it seems they are highly underestimated. They include high protein content on one hand and contribute to a healthy heart, diabetes and cancer control on the other. 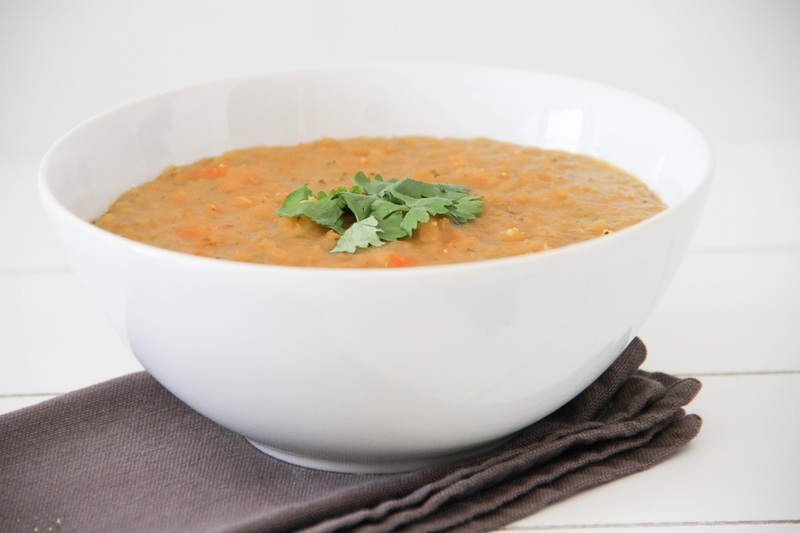 During my research I found out that lentils are a rich source of essential amino acids such as isoleucine and lysine. They are also a god source of micronutrients like vitamins or minerals. 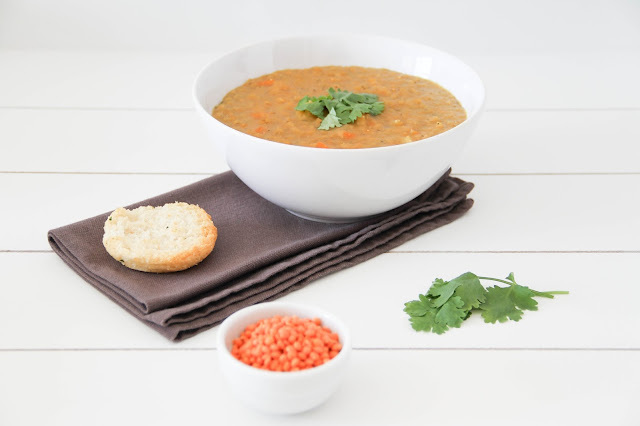 It seems that to date, lentils are considered to be the plant that provides the highest amount of protein. 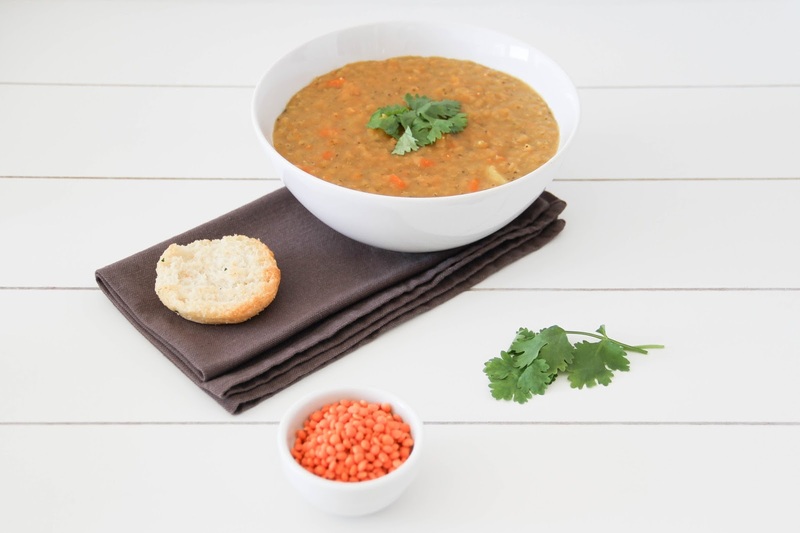 The amount of protein generated from lentils equals around up to 35%. This rate is comparable to red meat, poultry, fish or even dairy products. A positive side effect however is, that they are the ideal source of protein without adding any extra fat to the body. In a medium-sized pot prepare the vegetable broth. Then start chopping the onion, peeling the potato and cut it into cubes. Chop the carrot as well, then mince the garlic. Now rinse the red lentils to have all the ingredients ready and start cooking. Heat the olive oil in a large soup pot over medium heat. Add the onion and let it sauté for around 3 minutes until golden brown. Now throw in the potato cubes and the chopped carrot. Sauté for another 2 and a half minutes, then add the garlic. Pour in the vegetable broth, then add the lentils and let them simmer, uncovered, for about 15 minutes. Straight after haven thrown the lentils in, add all the spices one at a time. Stir your soup every now and then in order to avoid it to burn. Once your lentils start falling apart and are beyond al dente you can turn off the heat. Depending on how chunky you want them to be let them simmer another 5 minutes if you prefer them softer. 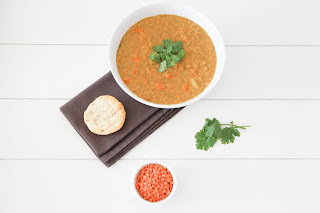 Lentil soup is one of my fav dish during autumn! This one looks particularly lovely!